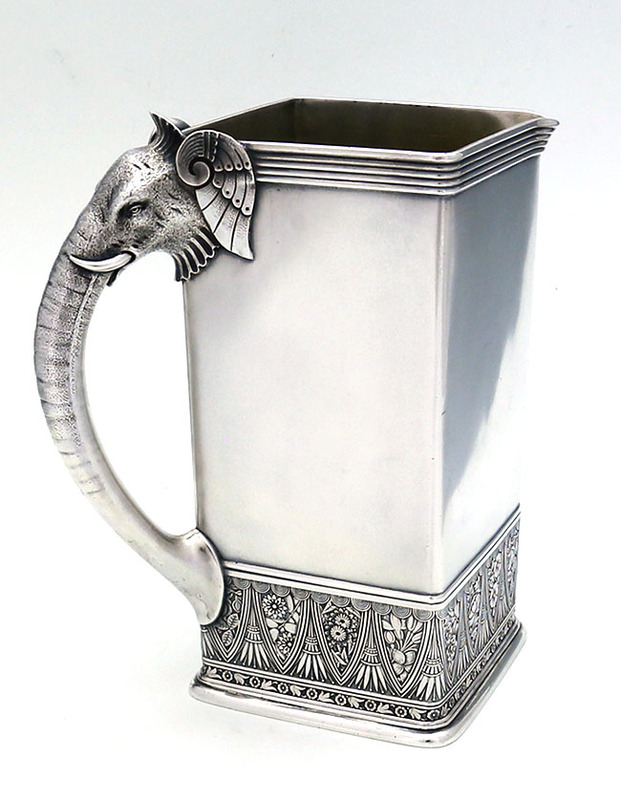 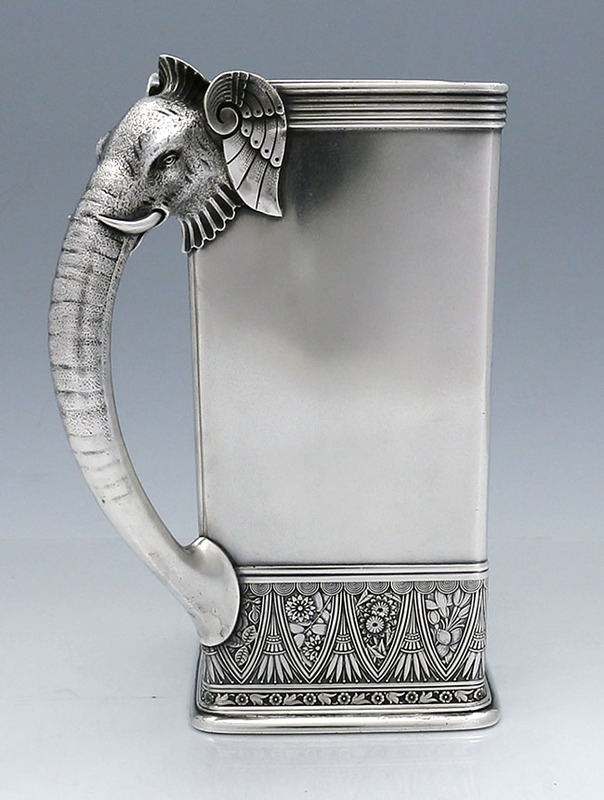 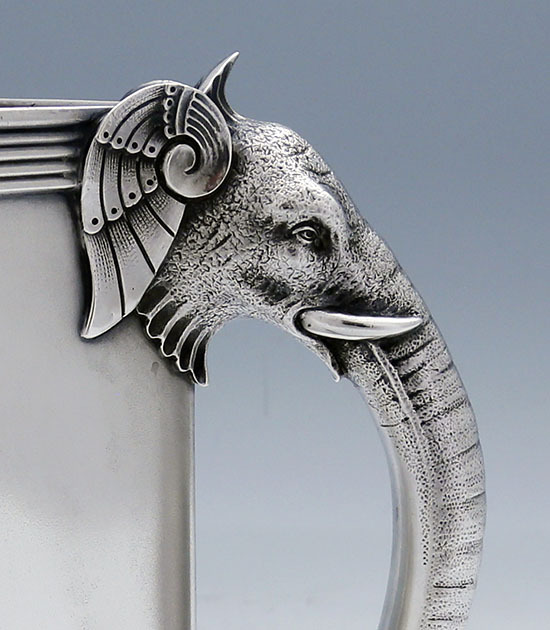 A rare Gorham square antique sterling pitcher with a soft satin finish and a cast elephant form handle. 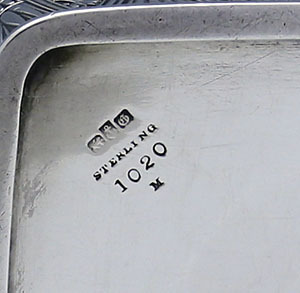 Marked with a date letter for 1880. 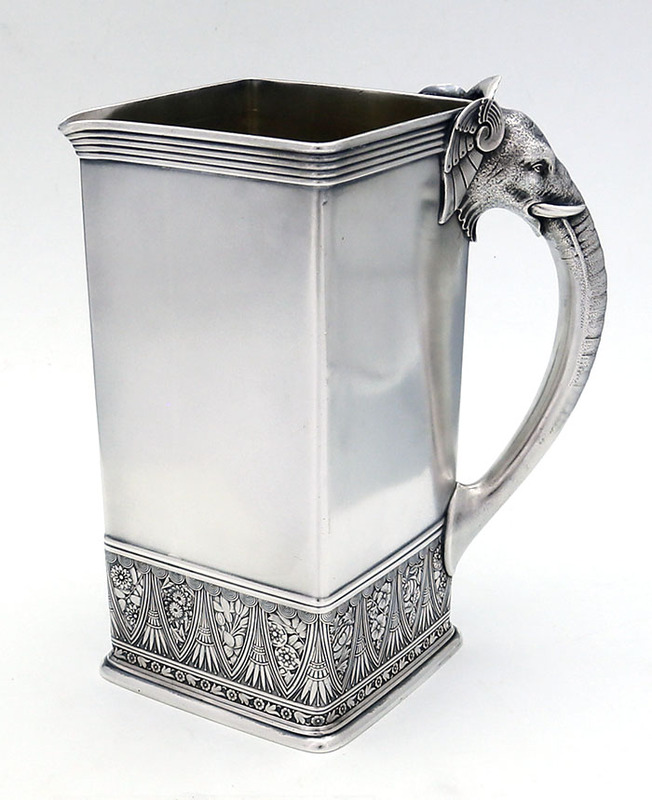 The pitcher has an ornate band of applied decoration at the base and retains the original gold wash in the interior.